Born: 2 April 1807, Wittersham, Kent, United Kingdom. Died: 9 October 1848, Surwur, near Poona, India. William Cornwallis Harris, army officer and traveller, was trained at a military college and at the tender age of 16 was appointed with the rank of second lieutenant in the English East India Company's Bombay (now Mumbai) Engineers. He became assistant superintending engineer at Bombay in September 1825, executive engineer at Khandesh in November 1825, and executive engineer at Deesa in October 1830. During these years he was able to pursue his interests in hunting and sketching animals. An interest in science is indicated by his membership of the Bombay branch of the Royal Astronomical Society and the Geographical Society of Bombay. In 1836 Harris was sent on sick leave to the Cape Colony for a period of two years and decided to undertake a lengthy hunting expedition into the interior. In Cape Town he received advice from Dr Andrew Smith*, who had just returned after a successful expedition that reached beyond the Magaliesberg. Harris made thorough preparations before travelling to Algoa Bay, and from there to Grahamstown in July 1836. Here he met David Hume*, from whom he received further information. Near present Kuruman he learned from the missionary Robert Moffat that the Matabele Chief, Mzilikazi, had attacked the Voortrekkers along the Vaal River. Harris none the less proceeded to Mzilikazi's kraal, hunting successfully along the way, and obtained permission to hunt elephants near present Marico and further north. Returning south he met the Matabele warriors who had unsuccessfully attacked the Voortrekkers led by A.H. Potgieter at Vegkop in October 1836. Travelling along the Mooi River he entered the Free State and met another party of Voortrekkers. He was back at the Cape in January 1837, and in December that year returned to India. Harris showed a keen interest in the animals he hunted, taking their measurements, collecting skins and horns, and making water-colour sketches of game species in their natural environment. Near the Magaliesberg he discovered a new species, the sable antelope (Hippotragus niger), and sent a specimen and a description of the animal to the Zoological Society of London from Cape Town in October 1837. The description, "On a new species of antelope", was published in the society's Proceedings (Part 6, pp. 1-3) in 1838 and again in its Transactions (1842, Vol. 2, pp. 213-216). While in Cape Town he also completed a map, Africa north east of the Cape Colony, exhibiting the relative positions of the emigrant farmers and the native tribes, May 1837. Using an existing map by the London mapmaker John Arrowsmith as basis, he included information based on his own observations and the reports of missionaries and traders. The map indicated the routes or positions of the Voortrekkers led by Trichard, Maritz, Retief, Erasmus and Potgieter. It was exhibited in Cape Town in September 1837, at which time prospective buyers could order copies. This map, or a revision, was published in London in 1839 and was included in Harris's books. An account of his travels, Narrative of an expedition into southern Africa, during the years 1836 and 1837, from the Cape of Good Hope, through the territories of the chief Moselekatse, to the tropic of Capricorn, with a sketch of the recent emigration of the border colonists, and a zoological appendix (title varies), was published in Mumbai in 1838. This vivid account brought him great renown. Later editions were titled The wild sports of southern Africa... (1839, 4th ed. 1844). The work is of historical importance as it contains valuable descriptions of the reign of Mzilikazi, the causes of the Great Trek, and the lives of the Voortrekkers in Natal up to 1840, based on his own observations and contemporary documents. His drawings, which are of a high standard, were published in Portraits of the game and wild animals of southern Africa, delineated from life in their natural haunts... (London, 1840). Its 30 coloured lithographs represent the first reasonably accurate representations of larger southern African mammals, all to the same scale, and are accompanied by detailed descriptions. 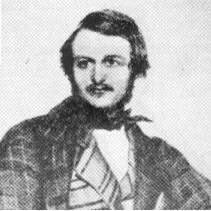 Upon his return to India Harris became executive engineer at Belgaum in January 1838. In December 1840 he was promoted to superintending engineer for the southern provinces of India. In September 1841 he headed a delegation to the highlands of Ethiopia, to establish relations with the ancient Christian kingdom of Shoa. An account of the journey was published in his book The highlands of Aethiopia, a narrative of a mission to the Kingdom of Shoa (London, 1844), with a separate volume of illustrations. He was promoted to major in August 1843 and the next year was knighted in England for his services in Ethiopia. After working for some time as executive engineer in Dharwar (now Hubli-Dharwar) he was transferred to Poona in 1846, where he died of fever two years later. A final paper by him, "Account of the trees producing myrrh and frankincense", was published in the Proceedings of the Linnean Society (1849). Norwich, O.I. & Kolbe, P. Maps of Africa. Johannesburg: A.D. Donker, 1983. South African Commercial Advertiser, 16 September 1837, p. 4, [announcement of the publication of Harris's map, in Dutch]. Tabler, E.C. A bibliography of works on South Africa by and about William Cornwallis Harris. Africana Notes and News, June 1966, Vol. 17(2), pp. 43-71.